Posted June 27, 2016, by Chinyere Osuji in African Immigrants, What's New?. 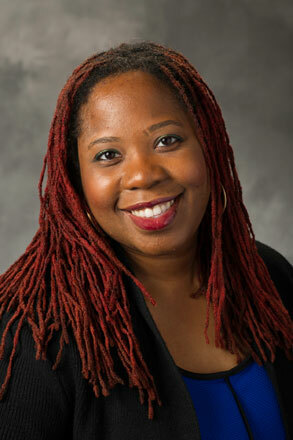 Too often in our society, when the media links class and African Americans, they have their eyes on issues of poverty. Decades ago, William Julius Wilson described how class was increasingly bifurcating blacks into those with and those without. Over the last several decades, he has called for more policy consideration for those in entrenched poverty. Yet he raised attention to the fact that many blacks had been and continue to climb into the middle class. A disproportionate number of blacks live in poverty; that is not to be disputed. According to the National Poverty Center, in 2010, 27.4% of blacks were poor in comparison to 9.9% of non-Hispanic whites (26.6% of Hispanics; 12.1% of Asians). However, this also means that the overwhelming majority of blacks live above the poverty line in the United States. While very few blacks in this country are not even remotely living lives like those depicted on television shows like Empire, most of us are not in dire poverty. More than half a century ago, E. Franklin Frazier “Brought the Shock of Self-Revelation to Middle-Class Blacks in America”. Since then, Lawrence Otis Graham, Mary Pattillo and Karyn Lacy have revealed the social organization of what we have thought of as the contemporary black upper and middle classes. However, there is a new kid in town. ion. Indeed, globalization has brought the presence of the Chinese and Middle Easterners who wield a large influence on their host societies. In addition, comparing the lives of those who migrate to family members who stay may mean that despite U.S. anti-blackness, the American Dream is still a reality for many of these black immigrants and their descendants. This context of the societies of origin may complicate the ways immigrant parents and their children understand race and ethnicity in the “New World”. Black immigrants are changing not only how we think about what it means to be African American, but also are changing the face of the black middle class. 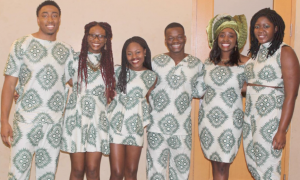 By virtue of their large presence on college campuses, black fraternities and sororities are already seeing a significant number of African first and second immigrants in their organizations. However, their social organization exists beyond the college campus. “Afropolitan” events catering to these immigrants have been springing up across the country in cities like Houston, New York, D.C., and Chicago- all places where black immigrants are making their demographic mark. This is a phenomenon that is gaining more traction. Transnational ties may also affect their modes of incorporation and into black middle class life as well as their social organization in the United States. In my own research, I conducted focus groups with Dr. Natasha Rivers in Chicago and Seattle on family formation among second generation African immigrants. 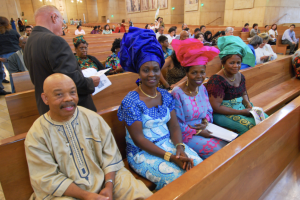 One of our unexpected findings was the importance of heritage in the dating and marriage decisions of United States-born daughters of African immigrants. On a personal note, I have seen members of my own extended family engage in medical mission trips to Nigeria. These experiences of links to family in their home countries may provide a more global dynamic to this new black middle class. However, everything is not cause for celebration; the label “African immigrant” can mask important differences among different ethnic groups. For example, Emeka’s work shows that on average, second-generation Ethiopians are more, not less likely, to experience poverty in comparison to their parent migrants. There are also concerns of Islamist radicalization of the descendants of Sudanese refugees and other predominantly Muslim Africans. Furthermore, Golash-Boza’s work on undocumented immigrants shows that black immigrants across ethnicity are more likely to be deported than immigrants of other races. This may have negative consequences for undocumented Africans. The stigma of blackness that is so common in post-Atlantic slave societies can limit the well-being and upward mobility of black immigrants. While the American Dream may be a reality for some, it may be elusive for other African immigrants and their descendants. Onoso Imoagene finds that being “an American” has a great deal of emotive appeal for many second-generation African immigrants. Will they become “just black”? Will they hold onto ethnic identities? Only time will tell? Page last updated at 9:55 pm June 27, 2016 . This page was printed from chinyereosuji.camden.rutgers.edu/2016/06/27/african-immigrants-and-the-new-black-middle-class/ on Thursday, April 25, 2019.